Mechanical Roller-Drag Race for 377+ Stroker Windsor with Yates / Neal or aftermarket race heads, 300+ Nitrous, needs best parts throughout. 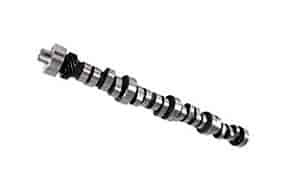 35-782-9 - Comp Cams 'Drag Race' Mechanical Roller Camshafts is rated 4.0 out of 5 by 1. COMP Cams 838-16 - Endure-X Solid/Mechanical Roller Lifter Set Ford 289-351W V8 Diameter: 875"
COMP Cams 739-16 - 10° Titanium Retainers Valve Spring Diameter: 1.625"